Living the dream: UH Hilo pharmacy student Nina Cardoza dreamed of becoming a pharmacist and returning to her home town to establish a pharmacy for her beloved community. This story is the first in a series on Hawai‘i Island residents finding a path from their hometown high school into UH Hilo’s pharmacy college. 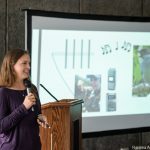 Born and raised on Hawai‘i Island, University of Hawai‘i at Hilo student Nina Cardoza is a graduate of Honoka’a High School, where she was able to use a dual-credit program to gain college credit while she was still in high school. The program helped her get a head start on pursuing a degree in pharmacy. 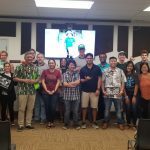 Cardoza earned dual-credit through the North Hawai‘i Education and Research Center (NHERC), a UH Hilo outreach center based in Honoka‘a dedicated to providing higher education opportunities to rural communities in North Hawai‘i. 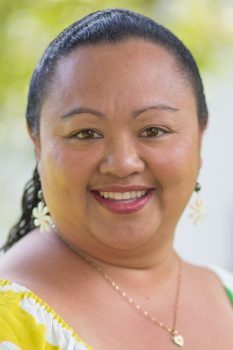 Her biggest champion was Farrah-Marie Gomes, then founding director of the center and now vice chancellor for student affairs at the UH Hilo main campus. Gomes personally encouraged Cardoza to enroll in the dual-credit classes, gain confidence, and then apply for college and financial aid. 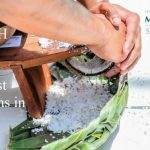 The North Hawai‘i Education and Research Center is a place for people in the community to come together and share resources and information. The center opened in May 2006, and has continued to serve North Hawai‘i by providing education resources and opportunities, such as giving guidance to students pursuing higher education. “There is an academic advisor on staff at the center so students can seek out services, just like how people would do here on campus,” says Gomes. Cardoza, the oldest of five children, is the first person in her immediate and extended family on both sides to go to college. Born in Hilo and raised in Pa‘auilo, Cardoza went to Pa‘auilo Elementary and Intermediate School. While at Honoka’a High School, she enrolled in Early College/Running Start classes that were offered on the high school’s campus. The classes are offered to high school students and taught by university professors. After completion, students earn both high school and college credit, true to the term “dual-credit.” The program gave Cardoza insight into the rigor of university classes. Nina Cardoza dreamed she would one day become a pharmacist on Hawai‘i Island who would help serve her community of Honoka‘a through an enjoyable career. She dreamed that she would one day become a pharmacist on Hawai‘i Island who would help serve her community of Honoka‘a through an enjoyable career. After graduating from Honoka’a High School in 2015, Cardoza enrolled at Hawai‘i Community College to fulfill her general education requirements before transferring to UH Hilo to complete her pharmacy prerequisites. 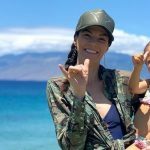 She says she was drawn to UH Hilo because of the opportunities offered in the pharmacy college and because it enabled her to stay on Hawai‘i Island while pursuing her degree. Before entering the pharmacy college, Cardoza was working as a pharmacy technician, but she now is focused on her studies in hopes to further her reach in helping the community after completing her degree. 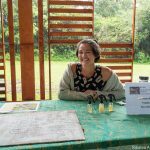 Cardoza lives in her hometown of Pa‘auilo on the Hāmākua Coast, striving toward her ultimate goal of one day opening a pharmacy in her local community. Gomes explains that the small town of Honoka‘a once had a pharmacy but it closed because it wasn’t able to sustain itself. Gomes says Cardoza has come far through actively seeking out resources such as NHERC and Early College and remaining dedicated to her goals of serving her community. 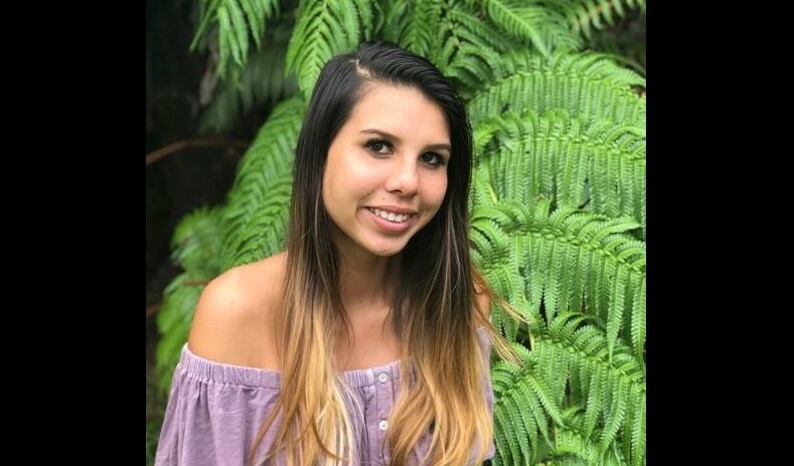 About the author of this story: Alyssa Mathews is a freshman at UH Hilo planning to major in business with a marketing concentration. She graduated from Waiakea High School and is a UH Hilo Chancellor’s Scholar.